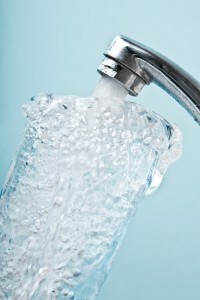 A water conditioner in your Toronto, Ontario, home can be beneficial in numerous ways. When hard water is treated by the conditioner, it becomes “soft” water, meaning the calcium and magnesium minerals within the water have been removed. This results in softer skin after bathing, dishes that rinse more cleanly without water stains, and no soap scum buildup on bathtubs, just to name a few of the advantages. But, is there a limit to how much softened water a household can enjoy? With a water conditioning system from RainSoft, homeowners can have access to an unlimited amount of softened water. The water is passed over a bed of beads that contain sodium ions, and these ions are exchanged for the magnesium or calcium ions present in the water. Depending on what type of water conditioner you have, an electronic sensor determines when recharging is necessary, or it is done automatically as pre-determined by a timer. With certain models of water conditioners, it is possible to enjoy an unlimited supply of soft water because the water is treated as it enters the home, and not stored in a tank. To determine what type of water conditioner would best suit your household’s needs, contact your nearest authorized RainSoft dealer today to schedule a complimentary in-home water test in your Toronto, Ontario, area home.